Criminal justice systems usually fail at achieving the reintegration of the offender into society. More often than not, offenders remain stigmatized as criminals, they lose their supporting community (family, friends), their relationships become broken. It makes it harder, if not near-impossible for them to find a decent job, improve their life circumstances altogether, basically to avoid re-offending. In the cases of the most serious crimes, the problem of victim reintegration also arises, as a problem, that is, in most cases untackled by criminal justice systems. Retorative justice approaches aim to achieve rehabilitation and reintegration instead of stigmatization. 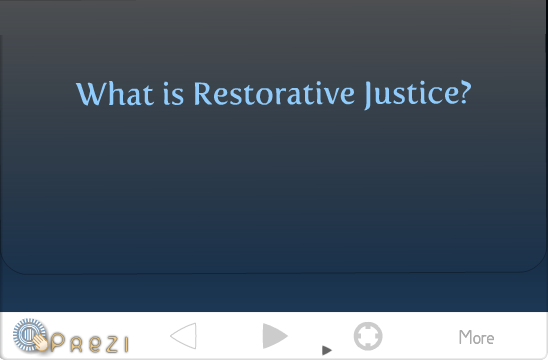 With the participation of victim, offender and society alike, restorative justice strives to give those willing to participate a chance for an effective startover without the issues and barriers that are commonly raised in criminal justice systems. The MEREPS Project aims to test if restorative justice practices, when used in a prison setting, can lead to succesful rehabilitation and, as a further result a reintegration of the offender as well as of the victim into society. Finding a suitable reintegration strategy is the interest of victim, offender, and society alike.